Howie Roseman can trade anyone it seems. 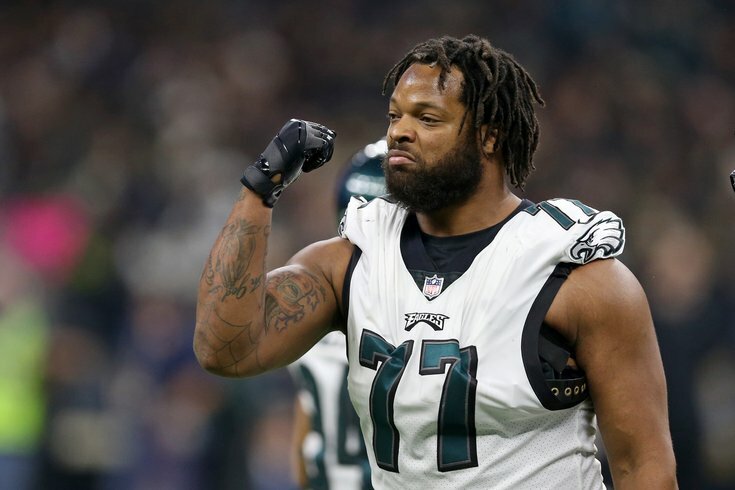 Just hours after Michael Bennett went on NFL Network and said he refused to take a pay cut, the Eagles reportedly found a trade partner in New England. The Eagles seemed poised to cut the 33-year-old defense end anyway — so getting anything for him is a pretty impressive move. According to McLane, the Eagles will be receiving New England's 5th pick in 2020, in exchange for Bennett and Philly's 7th in 2020. Bennett had nine sacks and 15 tackles for loss in a very productive season with the Eagles, his only in Philadelphia, in 2018. He was acquired originally from the Seahawks last offseason in a swap of picks and wide receiver Marcus Johnson with three years remaining on his deal from Seattle. He would have been due $7.2 million if he was retained for the 2019 season. The Eagles will not be on the hook for a dime in the wake of Bennett's departure, as the Patriots will acquire this coming year and 2020's $8 million cap hits. The Eagles now have some serious cap space, and a serious need for some depth at defensive end. We wrote earlier about what the Eagles might do at DE with Bennett gone, and you can read about that here.